1.What is the limitation of Cubiio laser? Cubiio laser module uses 450nm wavelength blue laser. Base on the physical characteristics of blue laser, transparent, highly reflective, white, and blue surfaces are difficult to engrave due to the low absorption. 2.Can I engrave metal / glass / stone / ceramic by using Cubiio? No, the power and wavelength of Cubiio is not enough to “direct process” these materials. However, some Cubiio users engraved them by some indirect method successfully. Please search the materials and keywords in the Qusers group, such as porcelain, glass, marker...etc. 3.What is the lifetime of cubiio? Are there any consumables? Can I change the laser source? The expected lifetime of Cubiio is 10,000 hours, and there are no consumables. The lifetime will be 3 years if you use Cubiio 9 hours everyday. The laser source might be weaker after 10,000 hours, users can slow down laser speed to get the same result. The laser source is not changeable. 4.What is the difference between Cubiio Suit and Cubiio Laser Module? What is the purpose of CubiioShield? Do I need it? Cubiio Suit is a full set of Cubiio laser module and CubiioShield. CubiioShield provide a convenient and safe “laser class 1 condition”, including stable power supply, right working distance, laser shield, rigid body, and preliminary air filter. It will be helpful for common users. For the professional users who have the right knowledge and ability to create "laser class 1 condition", the CubiioShield is not necessary. Cubiio is made in Taiwan. The shipping fee will be free if you purchase in Taiwan. When sending to a foreign country, all import duties, taxes, tariffs, and other charges are buyer’s responsibility. Now Cubiio is selling on the official website (shopline store.) Cubiio also has shopping website channels such as Amazon.com and PChome24H. The physical channels in Taiwan are Eslite and on-site reservation sales. The special dealers around the world are adding and will be announced on the official website. 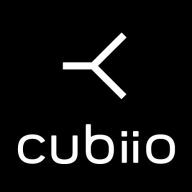 7.What kind of power supply should be used with Cubiio? Does cubiio have a built-in battery? Can I take Cubiio on a plane? There is no battery in Cubiio laser module, so it can be put in a carry-on luggage or a check-in luggage. A stable 5V/ over 2A power supply is a must for Cubiio, and a 5V/2.4A power supply is recommend. 8.Can I control Cubiio by a computer? No. computer cannot provide needed power for driving Cubiio. Also, working files can only upload via APP or SD card, not via USB. 9.What kind of files can be read by Cubiio? .jpg or .ai? Cubiio laser module supports only .bmp and .txt (gcode.) The files will be transfer to the acceptable files when uploading via APP automatically. Users can also transfer files in a computer then upload to SD card. More information in file format. 1.Admin mail and safety code? Admin mail and safety code are used to ensure the operator is authorized. It is due to the risk of using laser, and is a part of the safety principle. If you forgot your password, please use the [Forgot the safety code?] function to find your password. Our system will send the password to your admin's email. This is a safety feature of Cubiio. If you are operating Cubiio laser module on CubiioShield, please put CubiioShield onto the base again. You will hear 2 click sounds if get in the correct position. If you are operating Cubiio laser module alone, please turn on Expert Mode and make sure everything is safe. Please check Safety checklist for details. 3.What do the parameters on APP mean? How to set them? High power and/or low speed lead to stronger processing ability, which is suitable for cutting purpose or process on hard-to-engrave materials. Low power and/or high speed lead to small heat affected zone, which can get finer results. Cubiio Remote has build in some recommend parameters of common materials. However, users need to trial and error to find the best parameters of the material. 4.Can I turn off the working alarm? Yes, it can be turned off in the settings. However, we recommend you turn on to remind others around that the laser engraver is working. 5.Should I always keep the BLE conncection with Cubiio? Users should keep the BLE connection when uploading files or setting parameters; users can close APP or disconnect BLE when laser processing. It will show the real time states of process when reconnect. The firmware updating of Cubiio needs a computer and a USB cable. Users can download the updater (Windows/Apple) and the firmware HEX file on the main page. Open the updater, connect Cubiio and computer by a USB cable, then follow the instruction of the updater. *Please note that do not remove the USB cable or turn off the power of computer during updating, which might cause an unrepairable error of Cubiio. 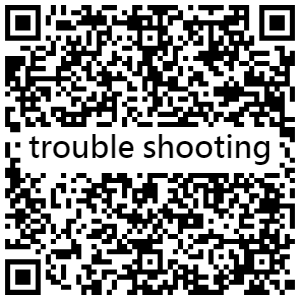 Please follow the instructions in trouble shooting V1.0 to solve the issue. Please send us a support request when you need further supports. We usually reach you within two workdays. (1) The serial number of your cubiio. (2) The firmware version of your cubiio. (3) What kind of the phone and the version of the APP you use? (4)Please describe the details of the issue.